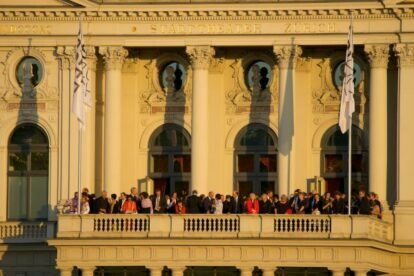 Zurich’s opera house, located centrally near the lake, has enjoyed a rising reputation since Alexander Pereira became the director in 1991. The present building of Opernhaus was inaugurated in 1891 with a production of Wagner’s Lohengrin. Famous names like Agnes Baltsa, Cecilia Bartoli and Thomas Hampson have sung in Zurich. The productions count at least 2-3 Verdi operas per season as well as several more exotic pieces of work. And of course: a taste of Wagner every year. Alexander Pereira, director until 2012, was originally no fan of subtitles and a thorough study of the libretto was mandatory before a visit. Eventually he was finally convinced and now there are German subtitles even for German operas. The new director since the summer of 2013, Andreas Homoki is said to want to open opera to the broader public. The prices vary erratically depending primarily on the seat category. There are very good seats going for CHF 38 (twice the price of a cinema ticket). Reserve in advance and save 90% off the most expensive seats without sacrificing artistic pleasure. Chances are good that you could move to a more expensive empty seat once the lights go down. After a première you can enjoy an informal banquet at the central stage and mingle with artists and members of the national government. The dress code is informal: you can go wearing jeans. My favourites for the season (2018-19): “Tannhäuser” and “Madama Butterfly”.